http://charlotteskitchendiary.com/2014/06/03/relief-and-joy/ Aybee is an Oakland-based artist who usually releases digitally on his own label, Deepblak Recordings. Further Records is a Seattle-based label which recently switched from digital releases to limited-edition cassettes. 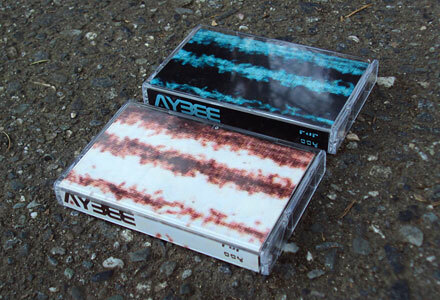 Aybee’s sound is deep and experimental, blurring traditional boundaries between house and techno. On “Slyde,” tones surge at different speeds over a muted bass pulse and congas. Slowly, hypnotically, strumming strings and a two-note synth phrase take over in a call and response. “Shelf in Space” lays down a crisp beat, only to smudge it with a shimmer of reverb. Half-way through, textured percussion and thick, analogue bass join in with miraculous results. “A Wind For Wayman” is a bit too out there, even for me. Bendy treble notes whine gratingly in the background. Jazzy, warped keys in the foreground sound as if they were recorded too hot. Zolpidem Mail Order Flip the cassette to find “Vertigo,” with spacey synth washes, bleeps, and broken beats. After a slow build-up, jazzy keys kick in along with a chunky bassline a good octave above the norm. The track progresses naturally to industrial percussion, then a regular, mechanical pulse. Somehow the original washes are re-introduced along with a new bell-like sound, and it all comes together. Buy Xanax In India “Sun of Cycle” begins with rhythmic bursts of wind. What starts as a simple beat quickly doubles in complexity. An acid line of sorts starts up, then round bass and breathy chords. It’s the ultimate late-night track. http://charlotteskitchendiary.com/2015/04/04/wheaten-bread/ I really love this EP, but I have to admit the format puts me off a little. I understand the novelty, but I’d take vinyl over tape any day. Don’t let that stop you from picking this up, though. This is music that must be heard. Buy Phentermine And Topiramate Online Comments are closed.